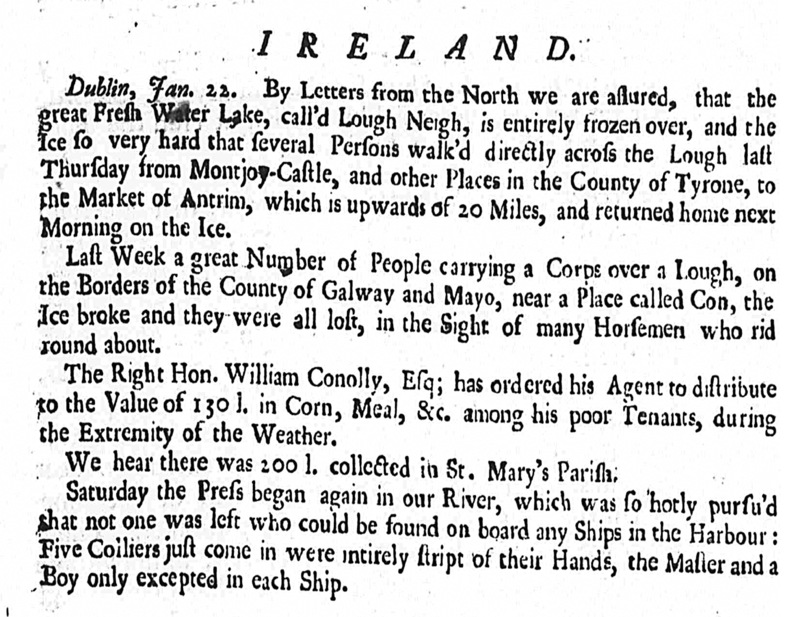 The Derby Mercury newspaper dated February 7th 1739 recorded the loss of life of a number of people who were in a funeral procession on a Lough in the area of the Galway/Mayo border, apparently in the area of Cong.The particular Lough is not identified, so if it was in the area of Cong it would be the upper part of Lough Corrib. 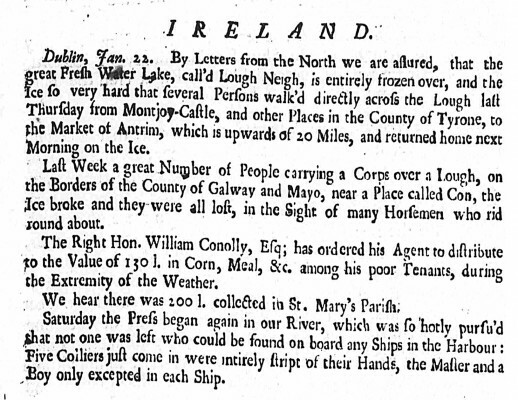 People in the Oughterard area would be familiar with the area and would be crossing to the islands regularly. Anyone out there with information on this tragedy? This page was added on 18/09/2015.